A tropical mix with coconut, pineapple and a mixture of other fruits. 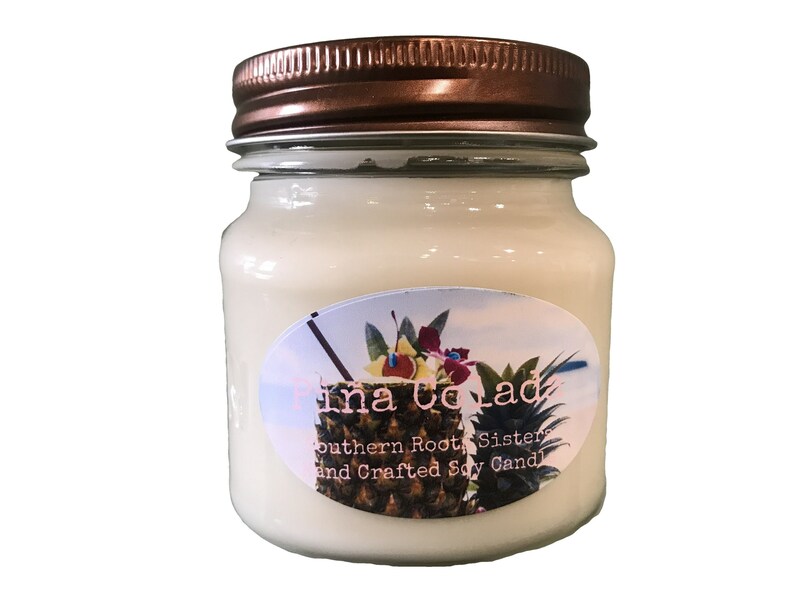 My hand crafted soy candles come in an 8 ounce mason jar with a copper lid and fragrance of your choice. They are petroleum free and from American farmed soy beans.